Sunday evening at Bedfordview, 17 September – Craig Herbert speaks about how God has an inheritance for us in Him, as part of our “River” series. Sunday morning at Bedfordview, 17 September – Wayne Howcroft speaks about how God has an inheritance for us in Him, as part of our “River” series. Sunday evening at Bedfordview, 20 August – Shane Rielly shares on the power of the Gospel. Sunday morning at Bedfordview, 20 August – David Gadelkarim asks: do we really know this God that we say we worship? 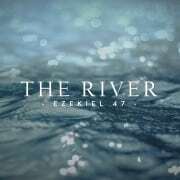 Sunday morning at Rosebank, 20 August – Nathan Gernetzky and Marco Broccardo share on the reach of the gospel, as part of our “River” series.